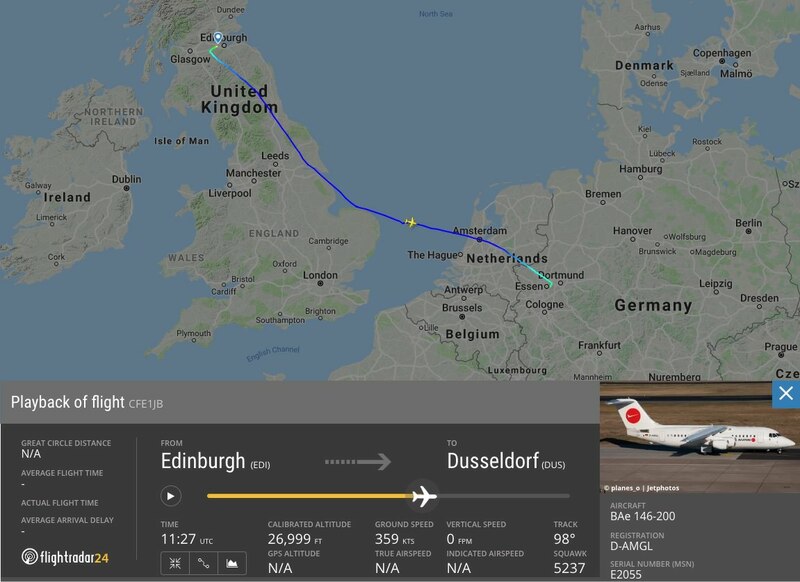 It is unclear at this point how the paperwork for the flight was mistakenly filed to the wrong city, but the pilot and cabin crew were apparently unaware they weren’t supposed to go to Edinburgh until the passengers took notice upon landing. 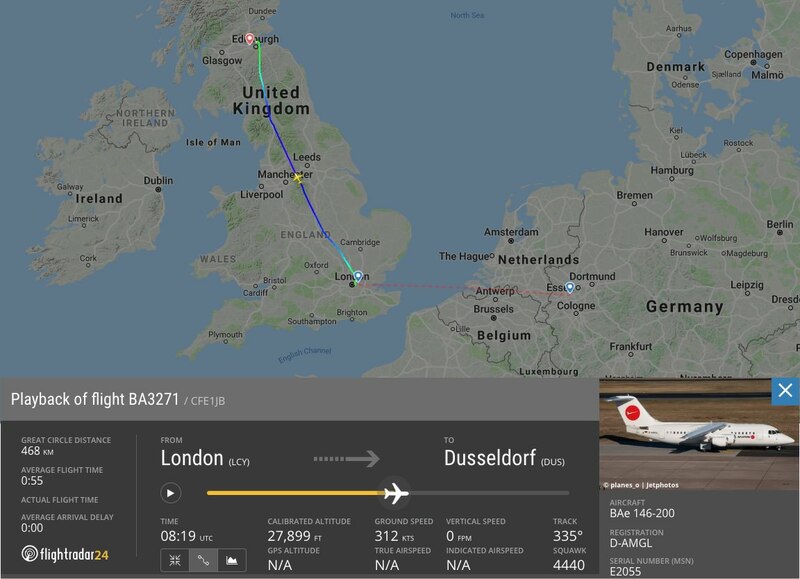 BA3271, operated by WDL Aviation, departed London City airport at 7:46 am local time and should have arrived in Düsseldorf at 9:40 am local time. Because of the mistakenly filed flight plan, the aircraft landed in Edinburgh at 9:00am. After sitting on the ground in Edinburgh for 100 minutes, the aircraft departed for Düsseldorf at 10:40 and arrived about 13:00.